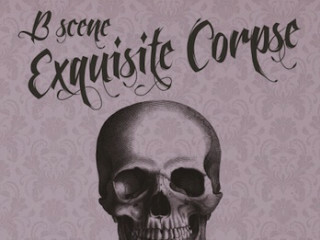 B Scene at the Blanton: "Exquisite Corpse"
Join the B Scene at the Blanton and enjoy live music from the Dead Music Capital Band and THAT Damn Band, plus refreshing cocktails, bites to eat and much more. Based on an old parlor game, "Exquisite Corpse" invites participants to write a phrase or draw a picture on a sheet of paper, fold the paper to conceal part of it and pass it on to the next player for his or her contribution. The evening will also provide visitors a sneak peek at the newest exhibition, James Drake: Anatomy of Drawing and Space (Brain Trash) and a chance to grab an advance copy of the East Austin Studio Tour catalog. Free for museum members; $12 for general public.